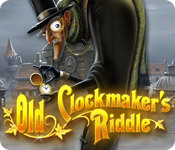 Old Clockmaker's Riddle is rated 3.8 out of 5 by 60. Rated 5 out of 5 by Desert007 from Really Love this Game! I truly love this game as a break from a much more challenging match 3 where I am stuck at the moment... 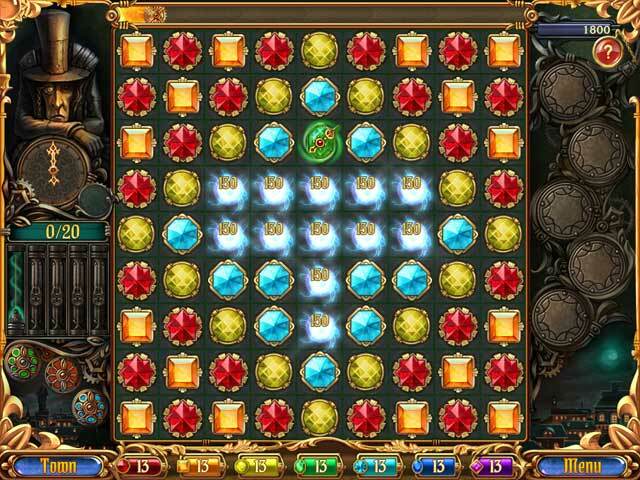 This game offers a fairly easy Match 3 game, but what's neat about it are the bonus levels. I still play it for the challenge of the bonus levels and how come I can't remember the solve? It's fun! Rated 5 out of 5 by WolfCreekWoman from Terrific Graphics and Well-Programmed Game I rarely write reviews. Why? Because I have a son who writes the architecture for computer games, both PC and mobile, and I feel as if my comments may be biased. I'm a bit spoiled, having beta tested some of his company's products. That being said, this game, which was not written by my son's company, has a lot of great elements: music, graphics, and the one thing I appreciate most in a Match 3 game....after nearly two hours of continuous play, I received the "no more moves" message only once! Hooray for the programmers!!! There is nothing worse than being 'on a roll' ...only to have the game determine that there are no more moves. Yes, yes...I know it is all contingent upon the moves that I make; however, good programmers work around that randomness, for the sole purpose of making the game interesting, rather than frustrating. Another plus for this game is the graphics. They are seamless, artistic, and pleasant to watch, hour after hour. The music is repetitive, but not annoyingly so. Kudos to those programmers and artists who went the extra mile! This is a truly enjoyable game, with some really clever aspects. Thank you! Well worth the money I paid and the time I've invested! Rated 5 out of 5 by willowwind from Worth my time to take time off. What a fun game and it gives a chance to just use your mind. The graphics are very good. Rated 5 out of 5 by Doug1990 from Love It I love it. Totally worth 3$. Was playing it for the past few hours and still playing. Strongly recommended. Rated 5 out of 5 by Bebalu from Instant Addict I loved this game and played for hours. The graphics are great! Rated 5 out of 5 by myyorkies1994 from I Love This New M3! Owning over 65 match 3 games, I was pleasantly surprised with Riddle! It's similar to Alchemist's Apprentice in that you have certain tiles that are your goal to match, these using clock hands. I love the music, and the graphics are bright and colorful. After each game board, if you've earned enough $$$ you are directed back to the town, where you have the opportunity to purchase more power-ups. I like this method of introducing power-ups gradually, so that you're learning and remembering them as you go along, rather than having them all introduced in the initial instructions, and you have to try to remember what they all do as you play. 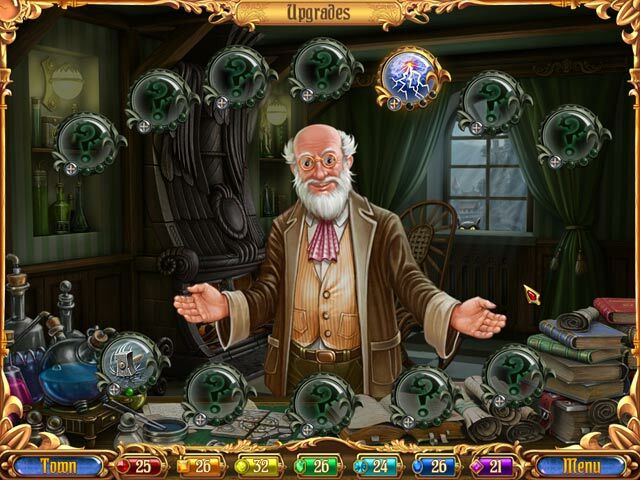 The game introduces challenges and power-ups early. It's one of the most fun M3 I've played and can't wait to get back to it! Enjoy!